Product categories of Laser Marking and Engraving, we are specialized manufacturers from China, Laser Marking, Laser Marking Machine suppliers/factory, wholesale high-quality products of Laser Engraving Machine R & D and manufacturing, we have the perfect after-sales service and technical support. Look forward to your cooperation! 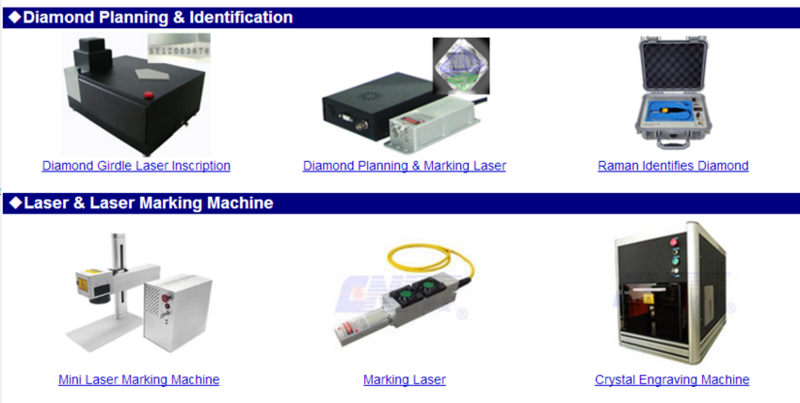 CNI is dedicated to offer best quality Laser source and Laser Marking Machine with short pulse duration, high peak power, cost-effectiveness and high fine precise marking lines. Compared to traditional marking, the process is more efficient, non-tactile and without any mechanical stress, which is suitable for various marking fields such as diamond, metal, steel, IC, plastics, package, logo, etc. Marking product includes parts for cnc marking machine, Laser For Marking, sub-surface engraving machine, diamond micro engraver, laser deep carved system,co2 laser engraving system,Fiber Laser engraving system,Green Laser engraving system,Water Cooled Laser engraving system and end-pumped laser engraving system.